NEW YORK, NY--(Marketwire - February 17, 2010) - W. P. Carey & Co. LLC (NYSE: WPC), a global investment management company that provides long term sale leaseback and build to suit financing for companies, announced today that CPA®:17 - Global, one of its publicly held non-traded REIT affiliates, completed the second tranche of a EUR 74 million ($104 million) corporate sale leaseback transaction with Eroski Sociedad Cooperativa. The second tranche, totaling EUR 36 million ($50 million), is for the purchase of 16 retail facilities from the Spanish supermarket operator. The first tranche, totaling EUR 38 million ($54 million) and comprising 13 sites, closed in December of last year. The properties are leased to Eroski under a long term lease. Financing for the investment was provided by Eurohypo AG. 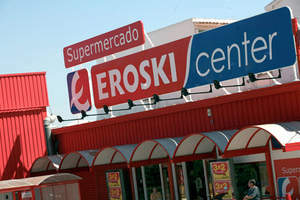 Established in 1969, Eroski is the third largest food and consumables retailer in Spain. Eroski operates more than 100 hypermarkets and 1200 supermarkets, franchises over 500 Aliprox fast-food outlets, and manages gas stations, drugstores and travel agencies. Eroski is the latest European retailer, following transactions with Tesco, OBI and Hellweg, to partner with W. P. Carey in order to release capital from their real estate. Eroski was represented by real estate consultant Cushman & Wakefield Spain for both tranches. "The closing of this financing further demonstrates W. P. Carey's ability to provide sale-leaseback financing in Spain and highlights our goal of providing defensive, risk management-driven investments for our investors in a breadth of different companies throughout Europe. Our global investment strategy and depth of capital resources will allow us to continue to provide long term financing to corporate real estate owners at a time when more traditional sources of financing are not available." "Working with W. P. Carey enabled us to recover our investment in these assets and use it in our core business. We are pleased to have such a well established firm as our long term financing partner. Their understanding of our current needs as a business as well as our longer term objectives enabled them to structure a financing that will serve us well now and into the future." "Despite current challenges in Spain, the completion of this transaction proves that there is still investor and bank appetite for good investment product in Spain. Working on behalf of Eroski, we feel that the structure of the sale and leaseback developed between Eroski and W. P. Carey provides a source of long term capital that addresses Eroski's current operating needs as well as their future growth strategies." Cushman & Wakefield is the world's largest privately-held commercial real estate services firm. Founded in 1917, it has 231 offices in 58 countries and 15,000 employees. The firm represents a diverse customer base ranging from small businesses to Fortune 500 companies. It offers a complete range of services within four primary disciplines: Transaction Services, including tenant and landlord representation in office, industrial and retail real estate; Capital Markets, including property sales, investment management, valuation services, investment banking, debt and equity financing; Client Solutions, including integrated real estate strategies for large corporations and property owners, and Consulting Services, including business and real estate consulting. A recognized leader in global real estate research, the firm publishes a broad array of proprietary reports available on its online Knowledge Center at www.cushmanwakefield.com.